Cal State LA will commemorate historic protests. 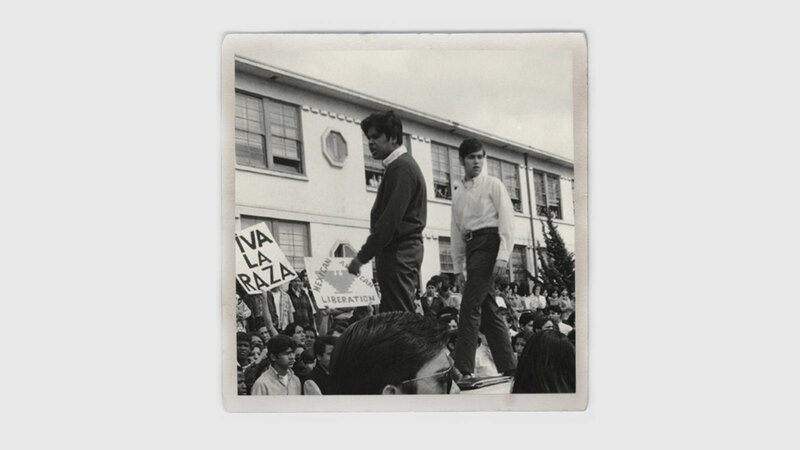 F ifty years ago this spring, thousands of Chicano students at Los Angeles high schools walked out of classes to protest inequity and prejudice in the education system. 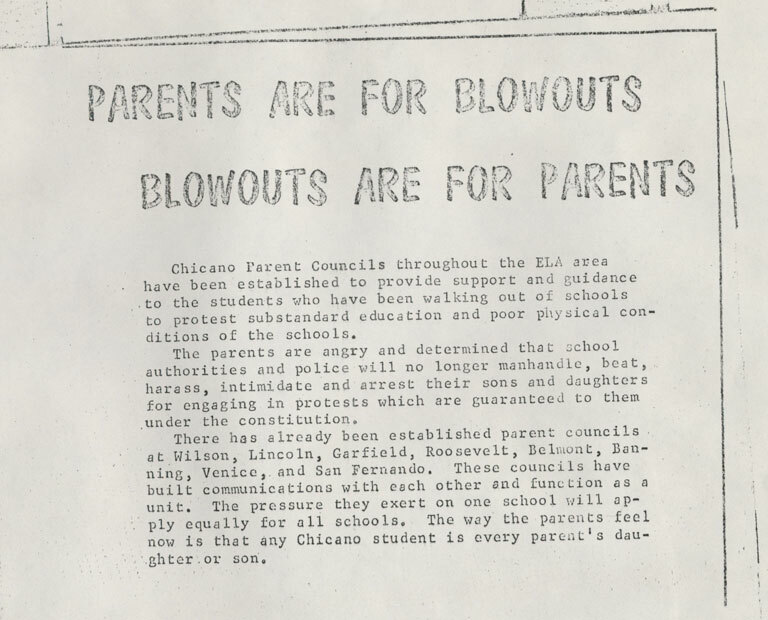 The East L.A. Walkouts, or Blowouts, began on Los Angeles’ Eastside, but they spread to other high schools across the city and included students of different races and ethnicities. 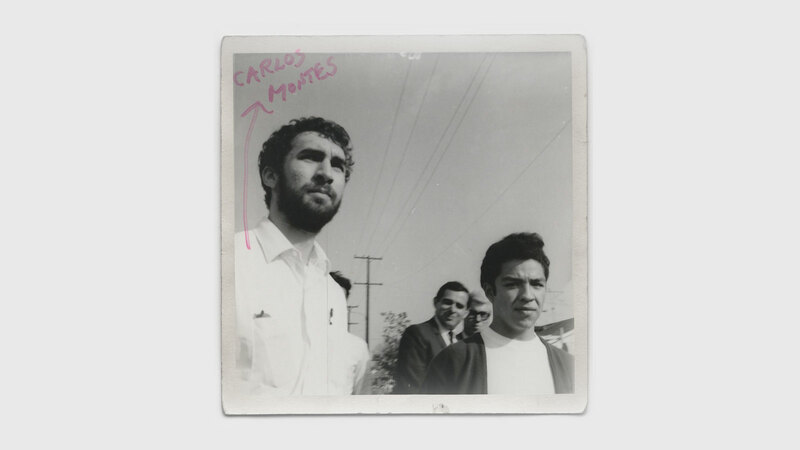 The walkouts on the Eastside were part of a larger political and cultural awakening of Mexican Americans across the Southwest and served as a catalyst for the Chicano civil rights movement in Los Angeles. These activists were demanding social justice, greater educational opportunities and an end to the war in Vietnam. At the time, the school district largely ignored Mexican American history, and Chicano students were forbidden from speaking Spanish and often steered toward vocational careers instead of college. The walkouts called attention to systemic inequities and ultimately led to improvements in city schools. In March, California State University, Los Angeles will commemorate the 50th anniversary of the East L.A. Walkouts. As part of the event, hundreds of Los Angeles Unified School District students will symbolically walk in to campus, where they will take part in workshops and panels focusing on the educational legacy of the walkouts. The two-day commemoration, scheduled for March 1-2, will examine topics such as the historical context of the walkouts, lessons learned and changes that have taken place since that tumultuous period. The panels and workshops will be led by Cal State LA faculty, students and staff. A goal of the event is to encourage students to pursue higher education. 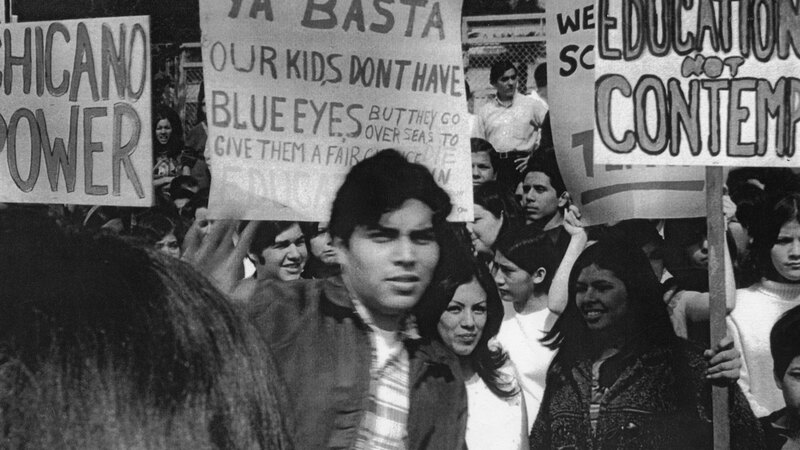 “Cal State LA’s recognition of the educational legacy of the 1968 East L.A. Walkouts will provide an important opportunity for our campus to continue building on our partnerships with the community and local LAUSD high schools,” says Vice Provost for Diversity and Engaged Learning Octavio Villalpando, who is helping organize the commemoration. The event will feature an exhibit of historical photos, documents and community newspapers chronicling the walkouts. The display will include photos taken by Cal State LA alumnus Raul Ruiz, who was a student, journalist, photographer and activist in 1968. Ruiz captured powerful images for the Chicano Student News newspaper, including school administrators trying to stop students from marching into the streets and police arresting protesters. 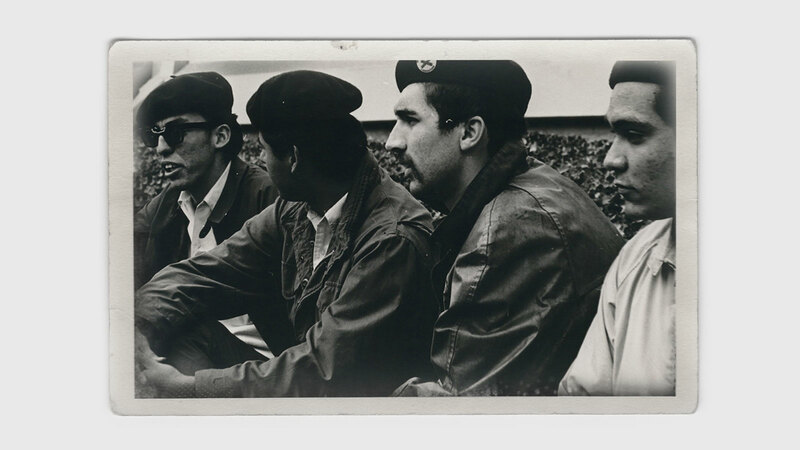 Ruiz was also a photographer and editor for La Raza newspaper and magazine, and his photos are included in an acclaimed exhibition at the Autry Museum. The LA RAZA exhibition is part of Pacific Standard Time: LA/LA, which examines Latino and Latin American culture and art at more than 70 cultural institutions across Southern California. In a recent interview, Ruiz recalled that key organizers of the walkouts included Cal State LA students and alumni. The LA RAZA exhibition is part of Pacific Standard Time: LA/LA, which examines Latino and Latin American culture and art at more than 70 cultural institutions across Southern California. One of the leaders of the walkouts was Cal State LA alumnus Sal Castro, who was a social studies teacher at Lincoln High School when students launched their protests. 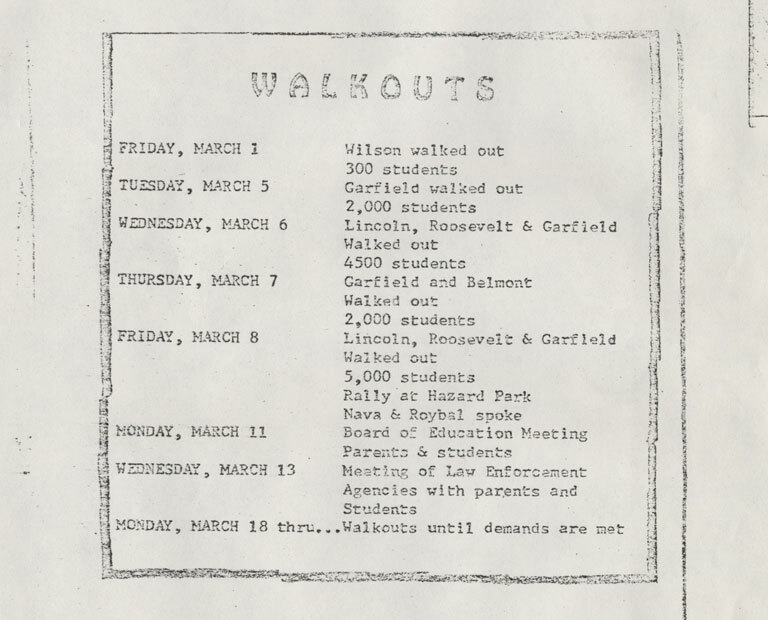 Students at Lincoln, Wilson, Roosevelt, Garfield and Belmont high schools participated in the initial wave of walkouts in early March in 1968. Castro helped the students craft their demands for reforms, which included bilingual and bicultural education, curriculum that acknowledged the many contributions of Mexican Americans, more Mexican American administrators and upgraded library and classroom facilities. “He was the first educator I ever had contact with who demonstrated deep caring and deep concern for students,” recalls Rita Ledesma, who was a student at Roosevelt High when the walkouts began and is now special assistant to the dean of Cal State LA’s Rongxiang Xu College of Health and Human Services. Cal State LA’s commemorative event in March will help ensure that Castro’s legacy and that of the walkouts will live on.